Nora Stanton Blatch Barney has been posthumously elevated to ASCE Fellow status in recognition of her significant contributions to civil engineering. After 99 years, ASCE has righted a wrong committed against pioneering civil engineer and suffragist Nora Stanton Blatch Barney. Stanton Blatch Barney was among the first women in the United States to earn a civil engineering degree, graduating from Cornell University in 1905. She was also the first woman to earn Junior Member status in ASCE. In 1916, Stanton Blatch Barney sought to become the first woman to enjoy full ASCE Associate member status, but the Board of Direction turned down her application. She challenged the decision in court, but a New York state Supreme Court upheld ASCE. She went on to an illustrious career, but did so without having been accorded membership in ASCE, for which she clearly was deserving. That status changed this month. 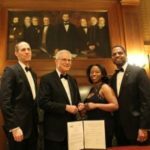 Such contributions include hydraulics thesis research at Cornell University’s Beebe Lake Hydraulics Laboratory, which solved a key problem in hydrodynamics. Stanton Blatch Barney went on to contribute to the development of early radio broadcast technology alongside her first husband, Lee De Forest, and worked for many years as an engineer in New York City, including for the city’s Board of Water Supply. She also worked throughout her life to improve civil rights and women’s rights, following the lead of her grandmother and pioneer of the suffragist movement, Elizabeth Cady Stanton. ASCE and the civil engineering field as a whole look much different, a century later, from the overwhelmingly male-dominated profession in which Stanton Blatch Barney worked. According to a 1949 Civil Engineering magazine item, about 50 women had by then been admitted to ASCE membership. Fast forward to 2015, when 14 percent of ASCE’s more than 146,000 members are female. Of all U.S. civil engineers, 17 percent identify as female; of the total engineering workforce, 15 percent are women. 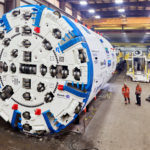 The gains are reflected in the number of civil engineering degrees earned by women, with 22 percent earning bachelor’s degrees, 27 percent acquiring a master’s, and 25 percent becoming doctorates. 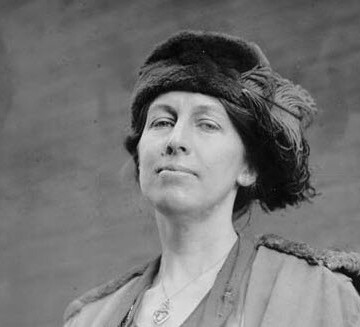 “I think it’s extremely important for the Society to celebrate Nora Stanton Blatch Barney, because she and others like her are the ones who paved the way for everything that women have achieved in the professional world today,” said ASCE General Counsel Tara Hoke, who researched Stanton Blatch Barney’s case and life for the Society. Norma Jean Mattei, Ph.D., P.E., F.SEI, M.COPRI, F.ASCE, will be installed as ASCE’s new president-elect in October at the ASCE 2015 Convention in New York City. Mattei follows the lead of women like Stanton Blatch Barney, and ASCE’s first elected female president, Patricia Galloway, and the Society’s second female president, Kathy Caldwell, and countless other female civil engineering leaders who sought to be treated as civil engineers who only happen to be women. For Stanton Blatch Barney, posthumously being advanced to the status of ASCE Fellow demonstrates how far the engineering community has come in 100 years, but it also recalls how far the push toward gender equality still has to go. “As the civil engineering community reflects today on Women’s Equality Day, we must not only celebrate the strides we have made in supporting the equal treatment of women through our efforts to inspire, develop, and retain them in the profession, we must continue to look forward to the work to be done in how we create a climate where all feel welcomed, included, and respected within the profession,” said Constance Thompson, CCDP, ASCE’s senior manager for Diversity and Inclusion and staff liaison to the Society’s Committee on Diversity and Inclusion. Look for more coverage of Nora Stanton Blatch Barney at ASCE News in the coming weeks. Only 14% of ASCE members are women? Interesting, given that the percentage of women CE graduates is closer to 40%. Sounds like room for membership retention improvement on ASCE’s part. A very appropriate move. This should have been done earlier, and would have, I’m sure, if the case would have been raised. Glad to see more coming on this in future ASCE news. Thank you for this very enlightening action and the article. In additional to what has been stated in the article regarding the need for further achievement towards gender equality, the profession as well as the boarder society must not be too self-congratulatory and fail to see what it is doing today that might need to be righted sometime later down the road. Like us, the then ASCE Board of Direction, as well as even the NY Supreme Court, must have believed that what they did at that time were right. Even today, are we really doing, not just falsely believing in, the right thing all the time? How many are still out there not righted yet or being done wrong at this very moment for doing the right thing? Only time will tell. I am delighted to see this! Same here – delighted to see this!